Ola is a directional desk, characterized by a strong and distinct personality. The shell generated from an elliptical base collects and stores the flow of energy radiated in the room with sleek soft lines. The strenght of the elleptical shaped basement is further complemented by the 15 mm transparent crystal glass top. Top is designed using the art of serigraphy and embelllished using metal studs. 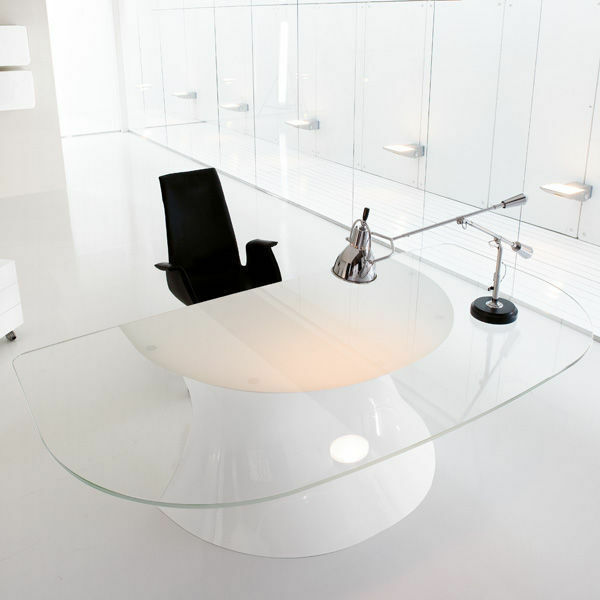 White is a pure force of nature whicj combines magically with the trasparent crystal glass top.